General Awareness or Reasoning Paper is an important part of SSC CGL Tier-1 Exam because it doesn't consume your time. 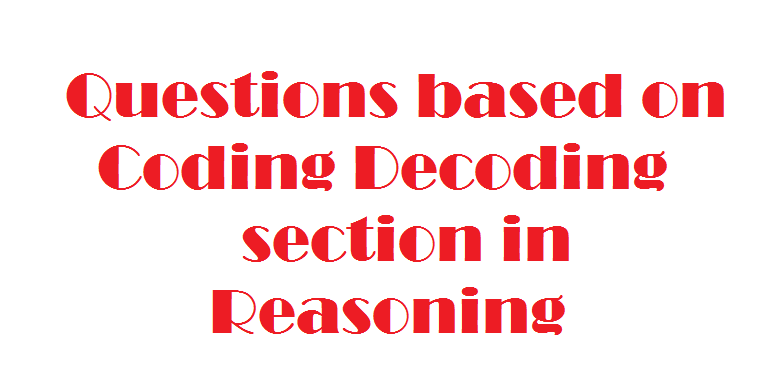 In this section you will find Questions from Coding-Decoding section as well. Check your preparation level by solving below given questions. Answers are given at the end of this post. Q1. In a certain code, TERMINAL is written as SDQLIOBM. How is CREDIBLE writer in that code? Q2. In a certain code, BOXER is written as AQWGQ. How is VISIT written in that code? Q7. In a certain code, ZUBIN is written as ATCHO .How is MEHTA written in that code?